A Dual Purpose English Hop which is fruity and slightly spicy. 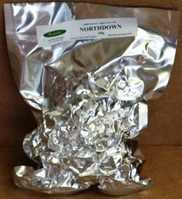 This is an English Hop and is used as a dual purpose hop as it gives excellent Bittering properties, a pleasant aroma and a fruity, slightly spicy flavour. Its typical alpha acid levels are 8.0-9.0% depending on the harvest, so you may need to adjust the amounts used in your recipe to ensure that you match the target EBU value.